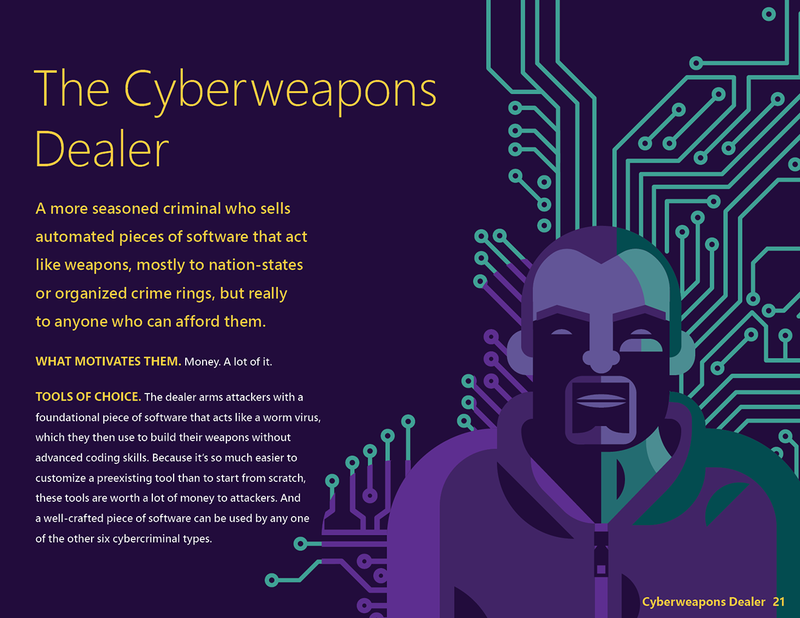 Learn about 7 types of hackers who are out to steal your data in this fun and informative content piece that I produced for Microsoft with POP. 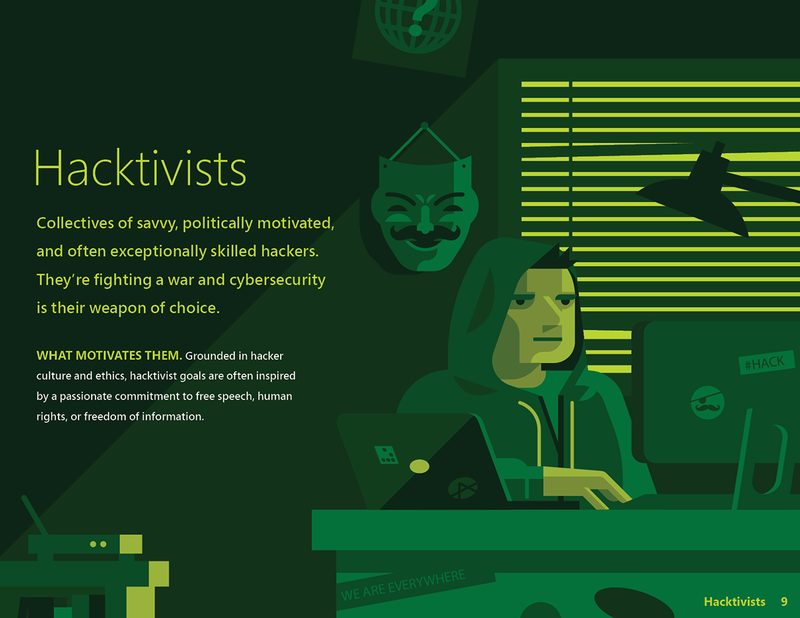 Microsoft takes cybersecurity very seriously. 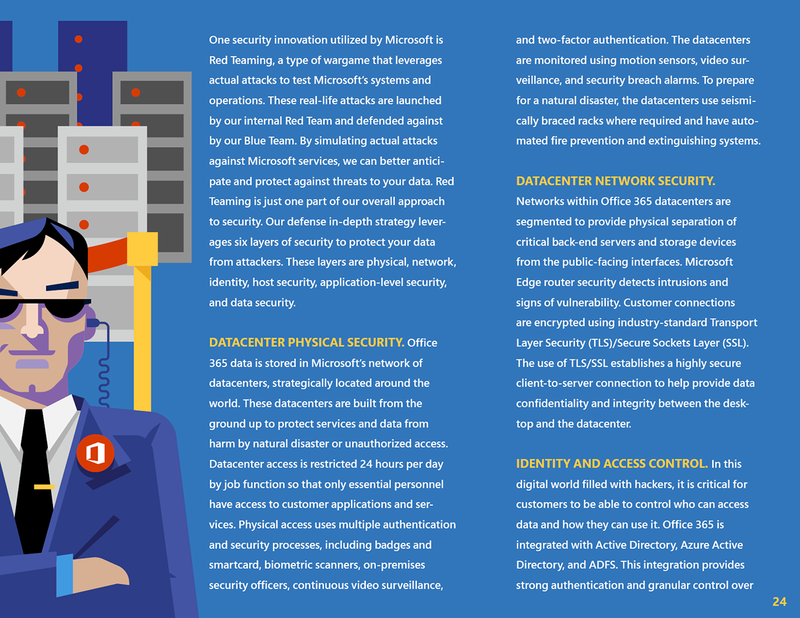 They asked my team at POP to create a fun and informative series of content pieces to educate their Office 365 subscribers on the current security threat landscape. 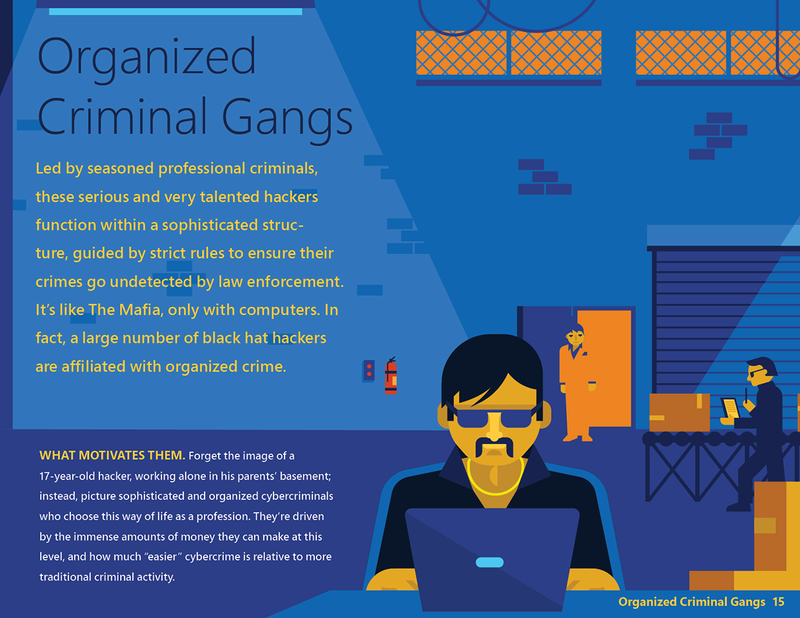 I was fortunate to direct a wildly talented team of writers and designers to produce a fully illustrated ebook, an accompanying infographic, and more. 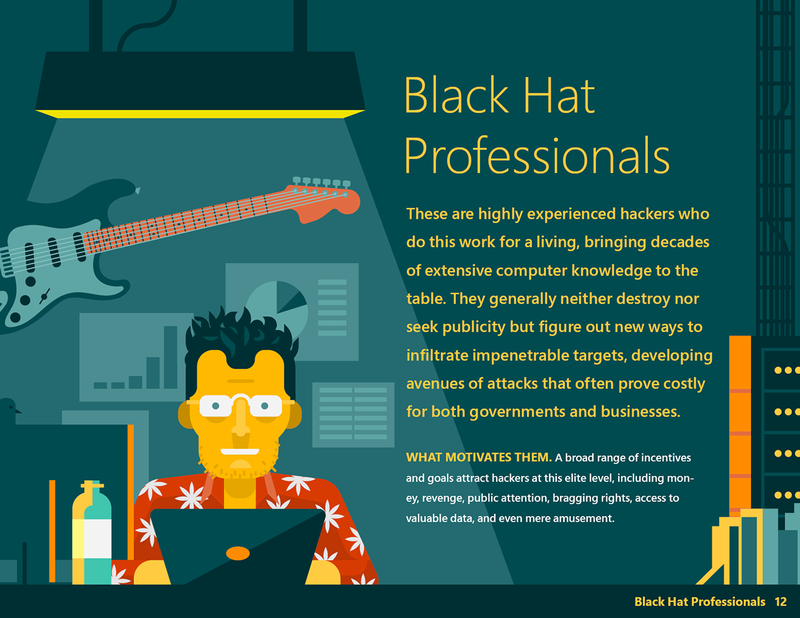 The ebook profiles seven hackers frequently encountered in the current data security arena, ranging from the minor threats of bored teenagers to the full-fledged cyberwars waged between nation states. 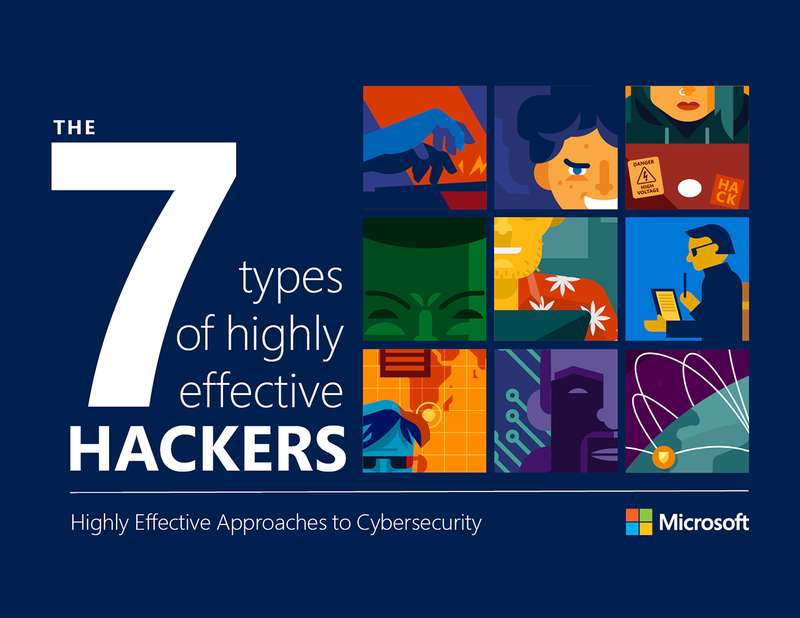 Also detailed within the pages of the ebook is how teams at Microsoft work around the clock to protect their customers' data from all levels of security threats. 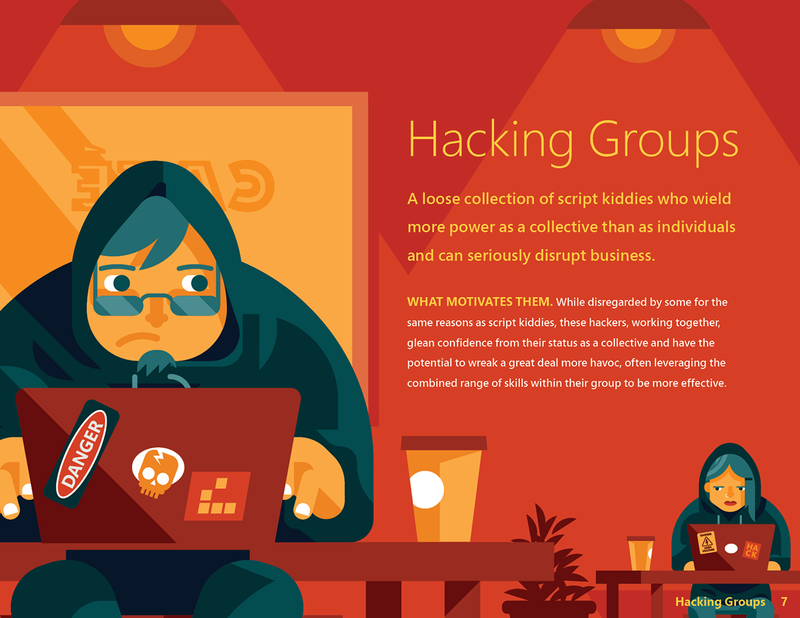 You can download the full ebook here. 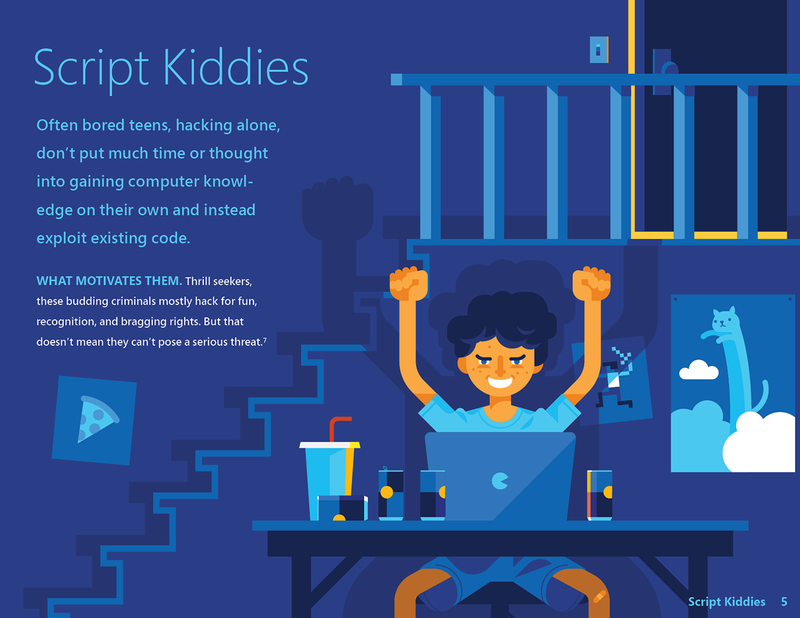 We took Microsoft's flat, geometric illustration style and pushed it into a fresh—yet completely on-brand—aesthetic and we added fun easter eggs into each illustration. 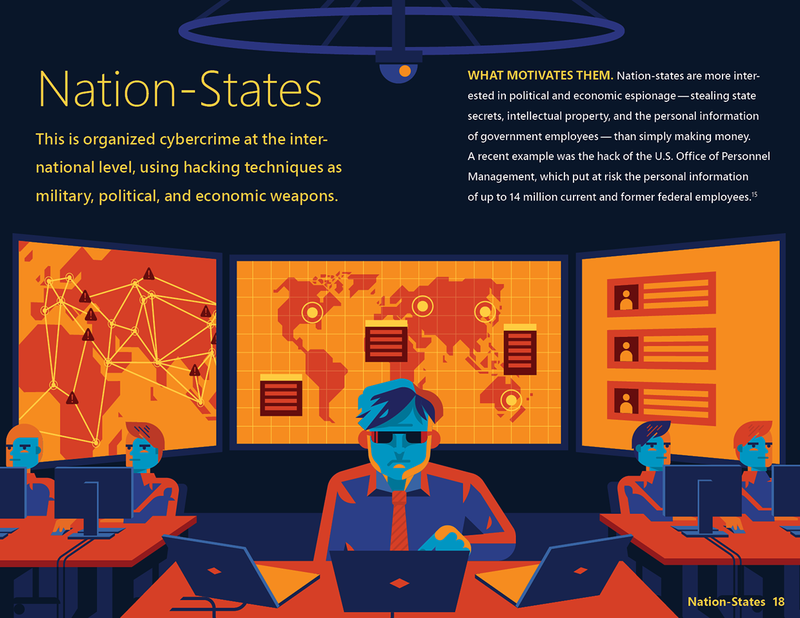 This unique treatment brought the topic of cybersecurity and solutions alive and kept readers engaged in a visual story, as they discovered the vivid details we had packed into each and every page.